As with Chrismation, oil is also used in this Sacrament as a sign of God's presence, strength, and forgiveness. After the reading of seven Epistle lessons, seven Gospel lessons and the offering of seven prayers, which are all devoted to healing, the priest anoints the body with the Holy Oil. 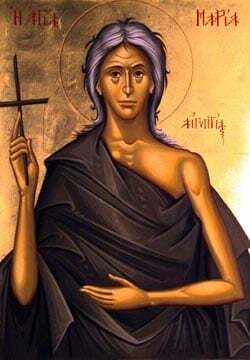 Orthodoxy does not view this Sacrament as available only to those who are near death. It is offered to all who are sick in body, mind, or spirit. Christ came to the world to "bear our infirmities." One of the signs of His divine Messiahship was to heal the sick. The power of healing remains in the Church since Christ himself remains in the Church through the Holy Spirit. In ancient Christian literature one may find indirect testimonies of the Mystery of Unction in Saint Irenaeus of Lyons and in Origen. Later there are clear testimonies of it in Saints Basil the Great and John Chrysostom, who have left prayers for the healing of the infirm which entered later into the rite of Unction; and likewise in Saint Cyril of Alexandria. In the fifth century, Pope Innocent I answered a series of questions concerning the Mystery of Unction, indicating in his answers that a) it should be performed "upon believers who are sick"; b) it may be performed also by a bishop, since one should not see in the words of the Apostle, let him call for the presbyters, any prohibition for a bishop to participate in the sacred action; c) this anointment may not be performed "on those undergoing ecclesiastical penance,' because it is a "Mystery,' and to those who are forbidden the other Mysteries, how can one allow only one? It is indeed the case that death inevitably comes. All must die, even those who in this life are given a reprieve through healing in order to have more time on the earth. Thus, the healing of the sick is not itself a final goal, but is merely "instrumental" in that it is given by God as a sign of his mercy and as a grace for the further opportunity of man to live for him and for others in the life of this world. The Sacrament itself calls for seven priests, seven readings from the Epistles and Gospels, seven prayers and seven anointings with oil specifically blessed during the service. Although it is not always possible to perform the sacrament in this way, the normal procedure is still to gather together as many priests and people as possible. The faithful come forward to be anointed with the Holy Unction "...for the healing of soul and body..."
At the end of the service the priest anoints the faithful as he makes the sign of the cross on the forehead and top and palms of the hands saying, "For the healing of soul and body." In these Psalms we confess our sinfulness before God and ask Him to cleanse us and make a "new and right spirit within us" (Psalm 51:10). In this series of verses that are read or sung, we ask God to show mercy upon us and cleanse our souls, to drive away all evil powers, to grant salvation to those who are sick or suffering, and to grant us the healing of our souls and bodies. At the end of several sets of verses, we ask God to renew our lives so that we may bless, thank and glorify Him forever. We pray to the saints - especially those who have helped the sick and suffering, and to those who have been martyred for the glory of God - and to the Mother of God to intercede for us for the salvation of our souls. There are seven sets of Epistle and Gospel readings and prayers. Each of the seven prayers asks for the remission of the our sins, for the healing of our souls and bodies and for life everlasting. In mercy, O Good One, cast Thine eyes upon the petitions of us who today are come together in Thy Holy Temple, to anoint Thy sick servants with Thine oil divine. Thou who alone art a speedy succor, O Christ, manifest Thy speedy visitation from on high upon Thy sick servants; deliver them from their infirmities, and cruel pain; and raise them up again to sing praises unto Thee, and without ceasing, to glorify Thee; through the prayers of the Birth-Giver of God, O Thou who alone lovest mankind. so that you might drive them out and cure every disease and illness." Having truly lived according to His commandments, freely you received and therefore freely you give, healing the ailments of our souls and our bodies. Look down, most pure Virgin upon the supplications of your servants, and crush the assaults of our enemies, delivering us from all affliction. You are the only sure and secure anchor that we have, and you are our protection. Never permit us who call upon you, our Lady, to be put to shame. Hasten to fulfill the entreaties of those who in faith cry to you: Rejoice, O Lady, helper of all, the joy and protection, and the salvation of our souls. O Lord who, in thy mercies and bounties, healest the disorders of our souls and bodies, do Thou, the same Master, sanctify this Oil, that it may be effectual for those who shall be anointed therewith, unto healing, and unto relief from every passion, every malady of the flesh and of the spirit, and every ill; and that therein may be glorified Thy most Holy Name, of the Father, and of the Son, and of the Holy Spirit, now and ever, and to the ages of ages. Amen.